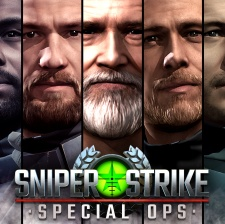 UK developer Eight Pixels Square has revealed that Sniper Strike: Special Ops has reached 20 million worldwide downloads. Following its November 2017 launch, the sniper title was downloaded 1.5 million times in its first two months in the wild, but has now hit the 20m download mark after 17 months. Sniper Strike has shown strong acceleration in the last five months which has helped propel the game to its latest milestone in half the time it took to hit 10 million installs, according to the developers. “Our accelerated growth on Sniper Strike comes after continued work and improvements on the game, from live ops and content to delight our passionate community of dedicated players,” said Eight Pixels Square co-founder Hugh Binns.